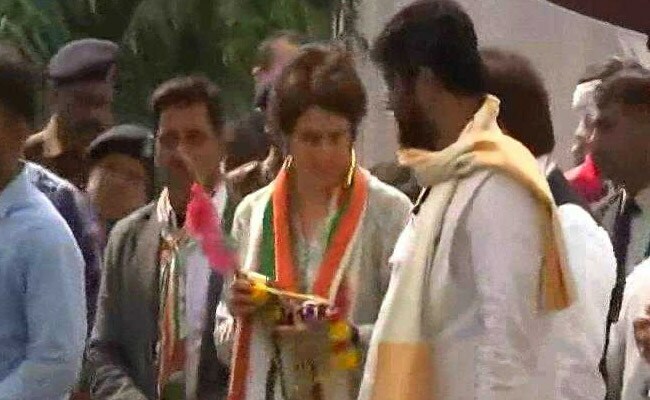 Priyanka Gandhi Vadra In Lucknow: Priyanka Gandhi Vadra, seen as the Congress' big hope for the 2019 Lok Sabha elections, announced her entry into politics as the party's general secretary in-charge of eastern Uttar Pradesh two weeks ago. 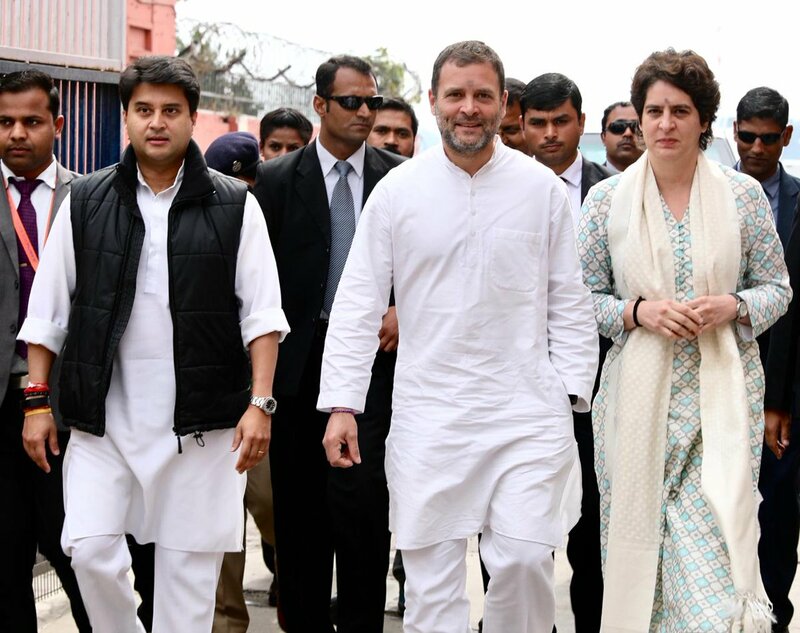 Priyanka Gandhi Vadra reached Uttar Pradesh capital Lucknow this morning and kicked off a rally accompanied by her brother Congress President Rahul Gandhi and senior party leader Jyotiraditya Scindia. 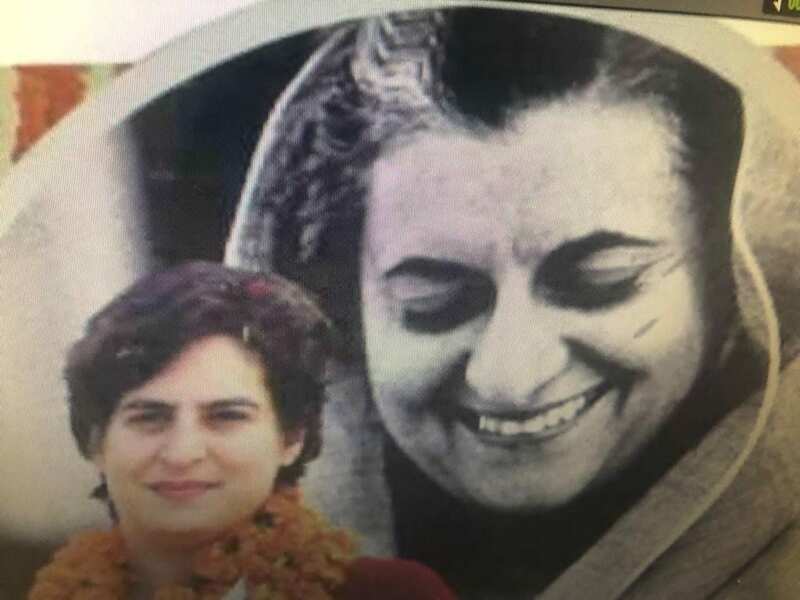 Priyanka Gandhi Vadra, seen as the Congress' big hope for the 2019 Lok Sabha elections, announced her entry into politics as the party's general secretary in-charge of eastern Uttar Pradesh two weeks ago. 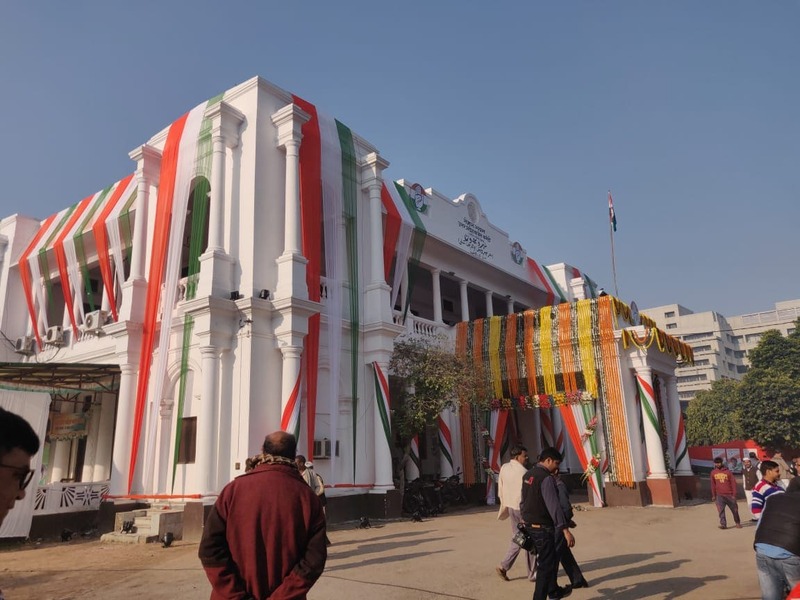 Reviving Congress fortunes in the eastern part of Uttar Pradesh will be a symbolic victory for the party as Allahabad has been home to the Nehru family and was also former Prime Minister Lal Bahadur Sastri's Lok Sabha seat. 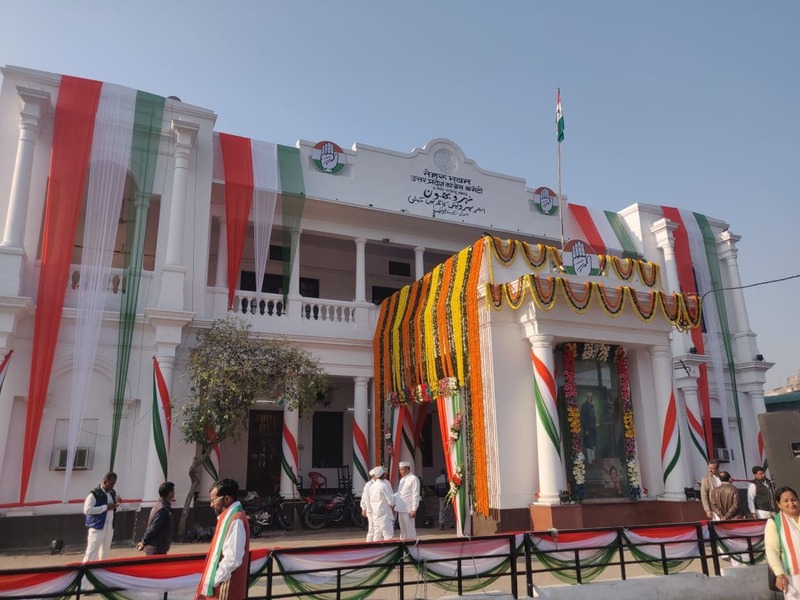 Neighbouring Phulpur used to be India's first Prime Minister Jawaharlal Nehru's Lok Sabha seat. 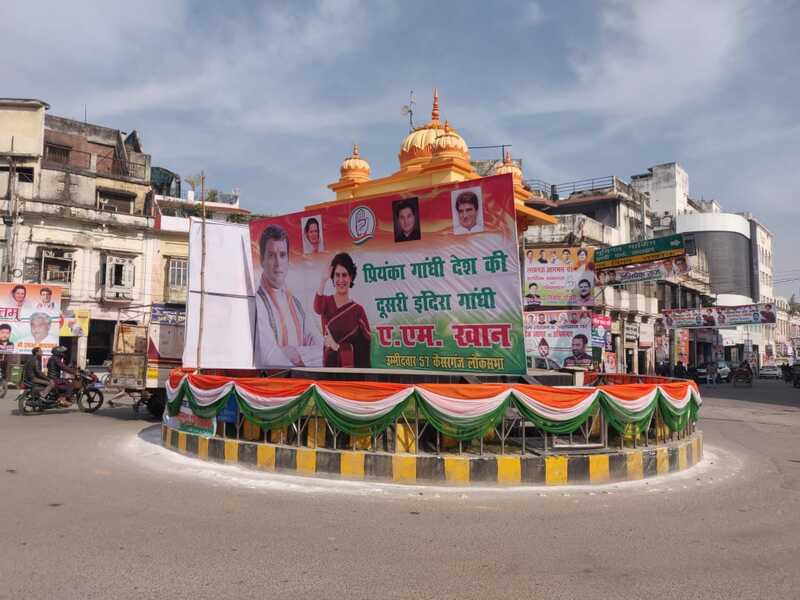 A 30-kilometre long roadshow is planned in Lucknow as a grand welcome for the top three Congress leaders, through some of the most congested areas of the city. 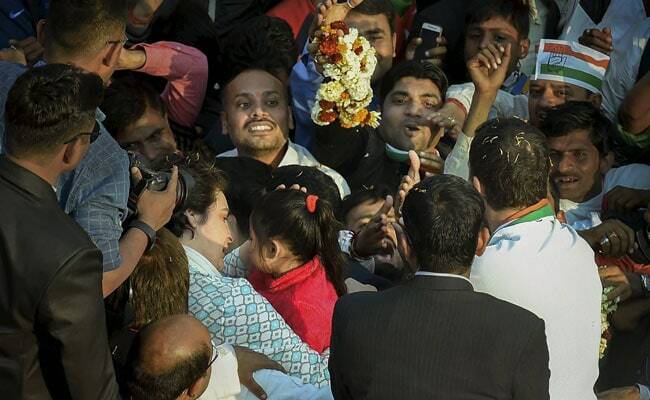 Visuals of Priyanka Gandhi Vadra, the Congress' new general secretary meeting her young fans during roadshow today. 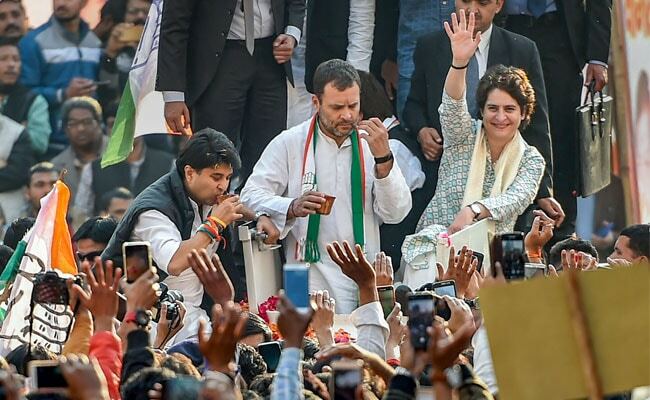 Congress President Rahul Gandhi, senior party leader Jyotiraditya Scindia and party General Secretary Priyanka Gandhi Vadra drink chai during their roadshow in UP. 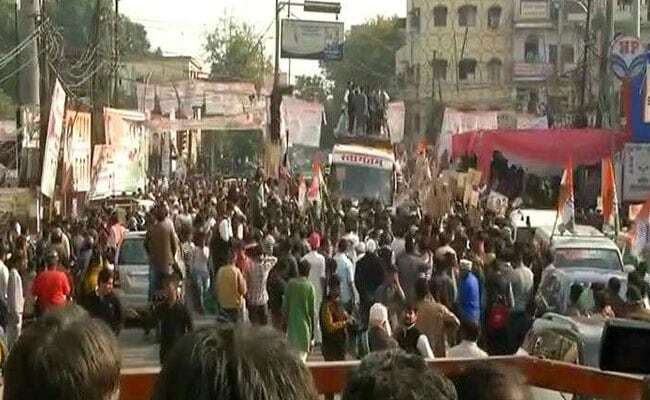 Congress cannot remain weak in Uttar Pradesh. 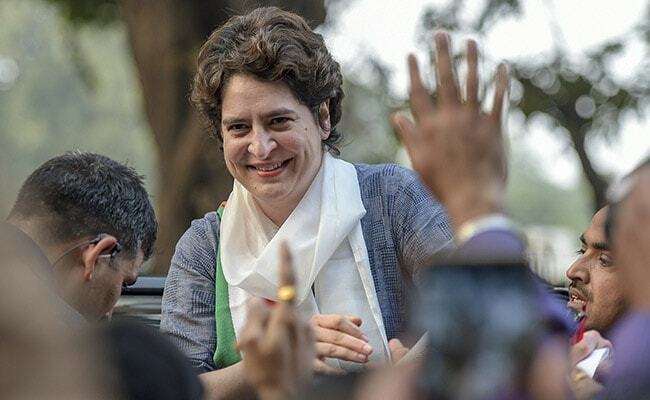 To make the Congress stand on its feet, I have entrusted the job to Priyanka Gandhi and Jyotiraditya scindia. I will come wherever I am needed. 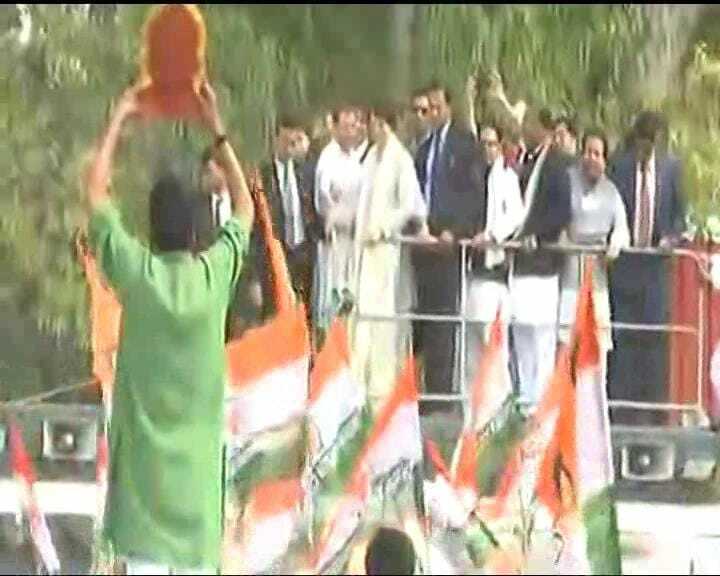 If Congress has to stand on its feet, zamini netas will have to be promoted, not those who fly in planes. Chowkidar had done parallel negotiations. Narendra Modi cancelled Air Force's negotiation. 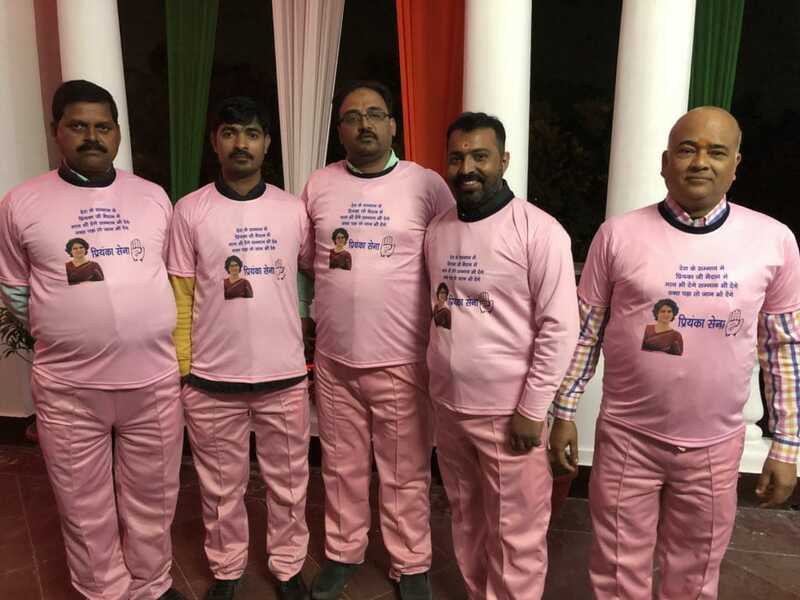 People of defence ministry and air force say chowkidar chor hai. 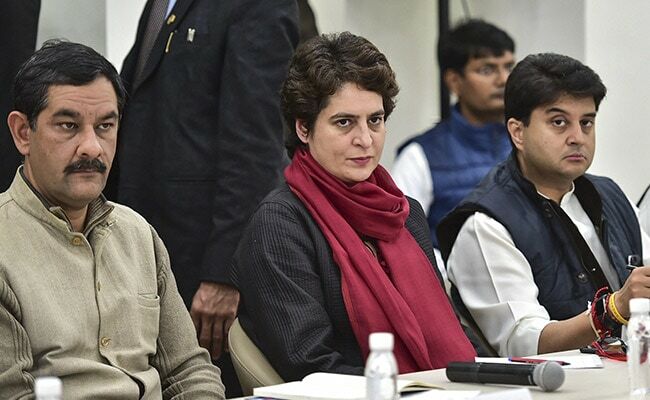 Narendra Modi cancelled corruption clause in Rafale deal. 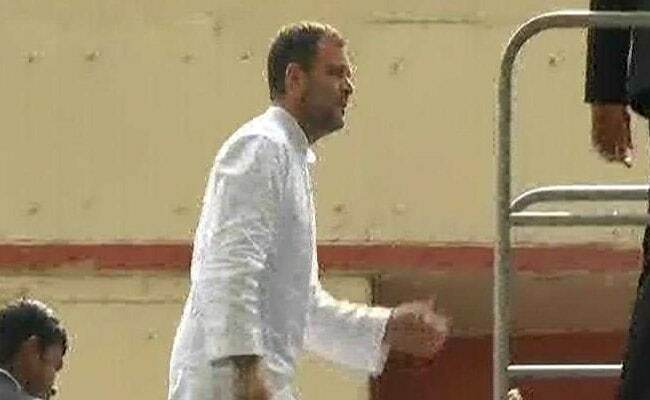 PM Modi's hollowness has come before the nation. 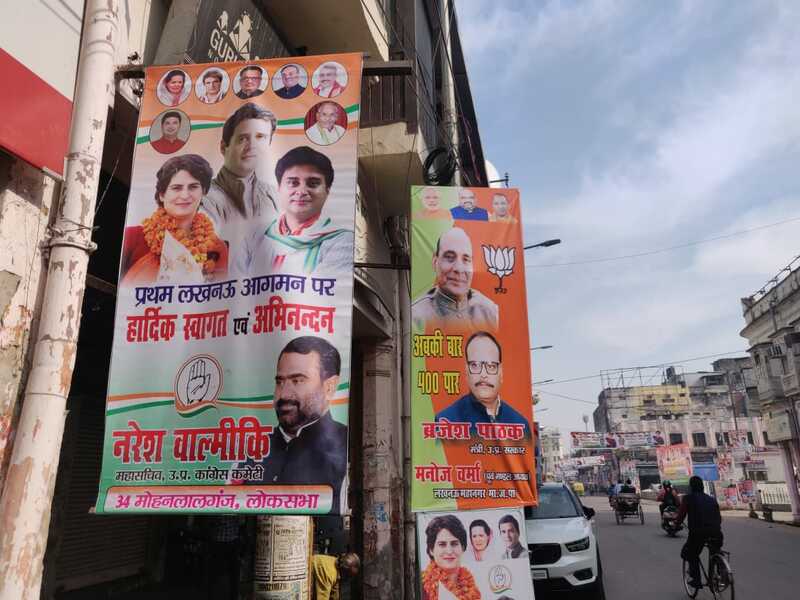 If you want to talk about corruption, then say chowkidar chor hai. 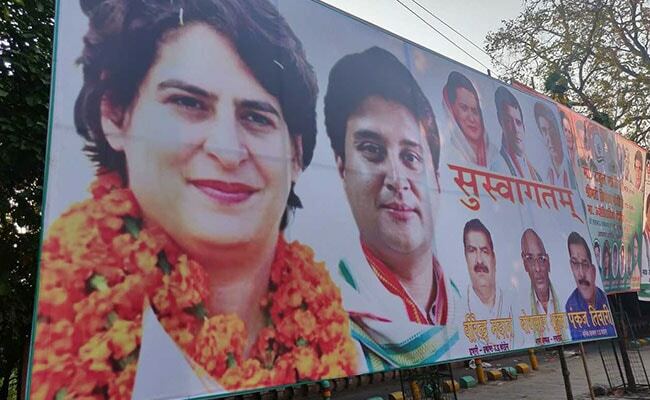 I respect Mayawati and Akhilesh ji, but the Congress party will fight with all its strength, it will fight to change Uttar Pradesh. 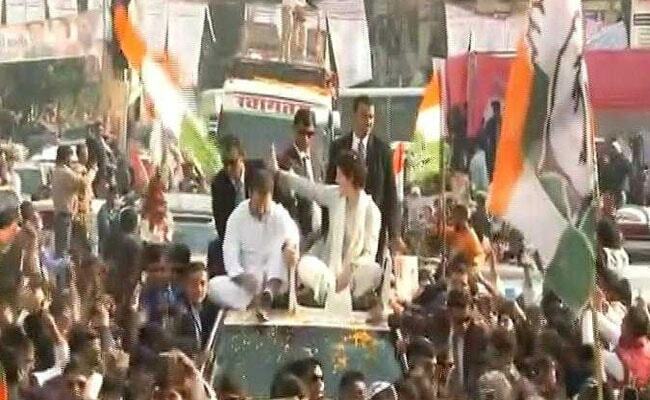 The roadshow of Congress President Rahul Gandhi, Priyanka Gandhi and Jyotiraditya Scindia in Lucknow ends. 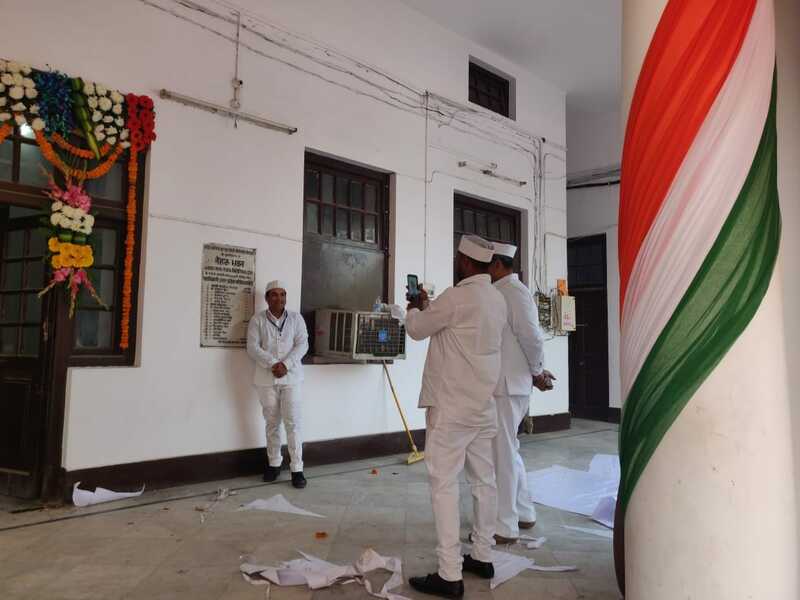 Congress president Rahul Gandhi and General Secretary for Uttar Pradesh East Priyanka Gandhi Vadra pay floral tribute to Sardar Vallabhbhai Patel in Lucknow. 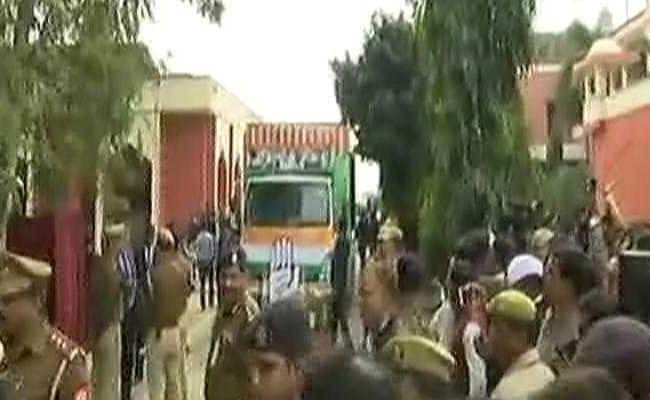 Nation's 'chowkidaar' stole money from Uttar Pradesh, other states, and Air Force. 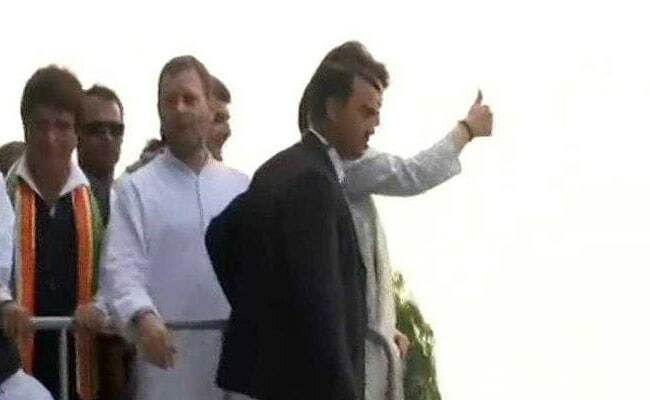 'Chowkidaar chor hai'. 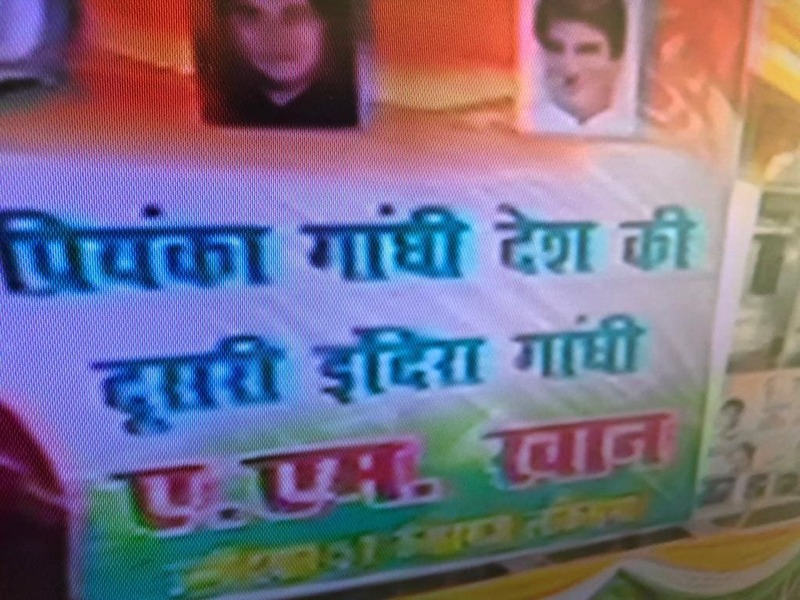 Uttar Pradesh is the heart of the country. 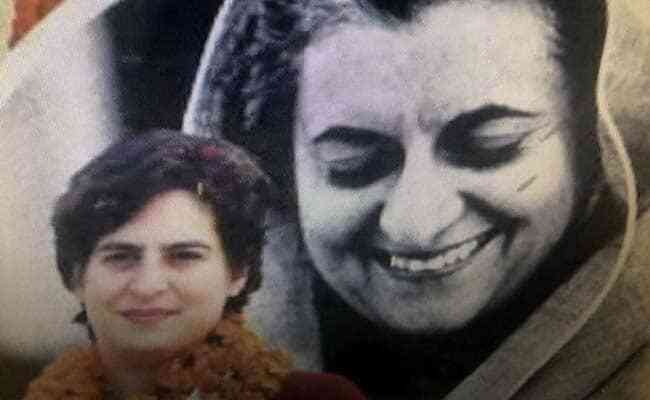 Have asked Priyanka Gandhi and Jyotiraditya Scindia to fight injustice and ensure a just government. We would play on the front-foot, won't play on the back-foot. 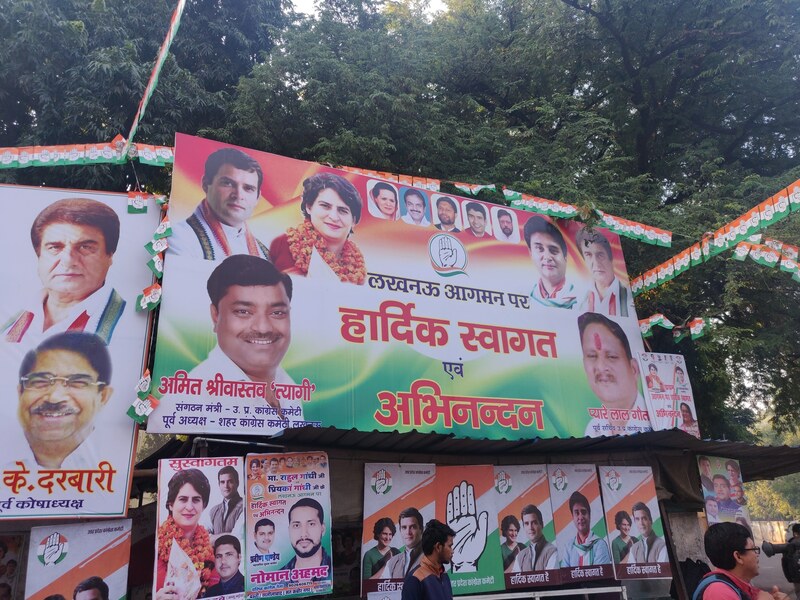 We (Rahu, Priyanka, Jyotiraditya Scindia) won't be satisfied till a Congress government is formed in the state. We would ensure a government of poor, of farmers. Overhanging electrical wires force the road show to be stalled. 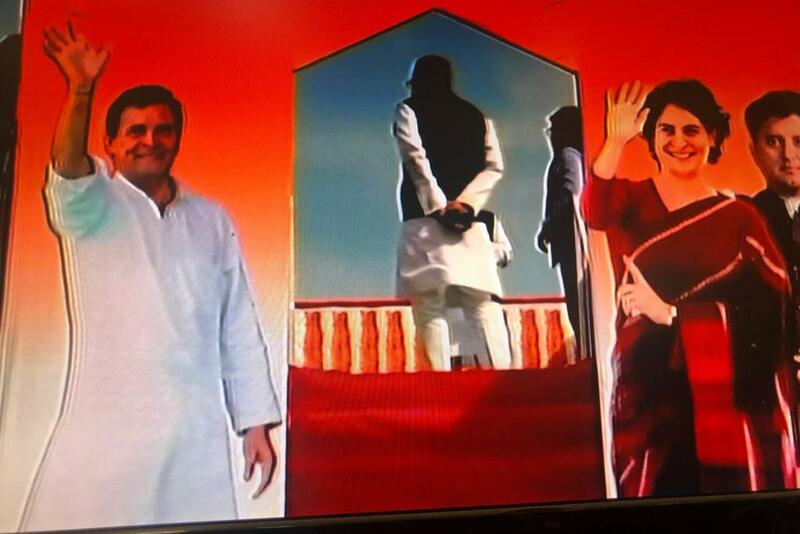 Rahul Gandhi and Priyanka Gandhi Vadra get inside the bus. 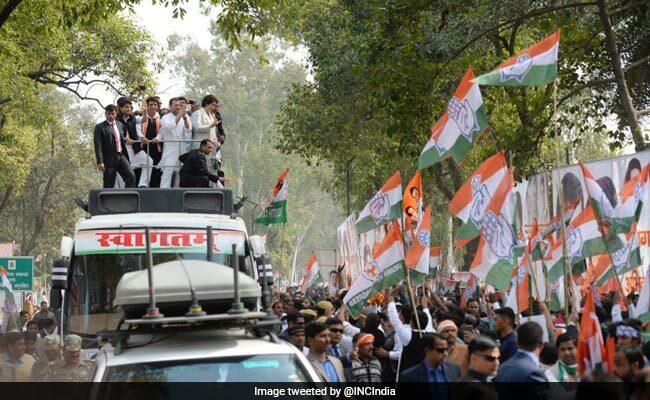 Drum beats, loud cheers and thousands of supporters are what greeted eastern Uttar Pradesh Congress general secretary Priyanka Gandhi, Congress president Rahul Gandhi and Western Uttar Pradesh general secretary Jyotiraditya Scindia here on Monday, according to news agency ANI. 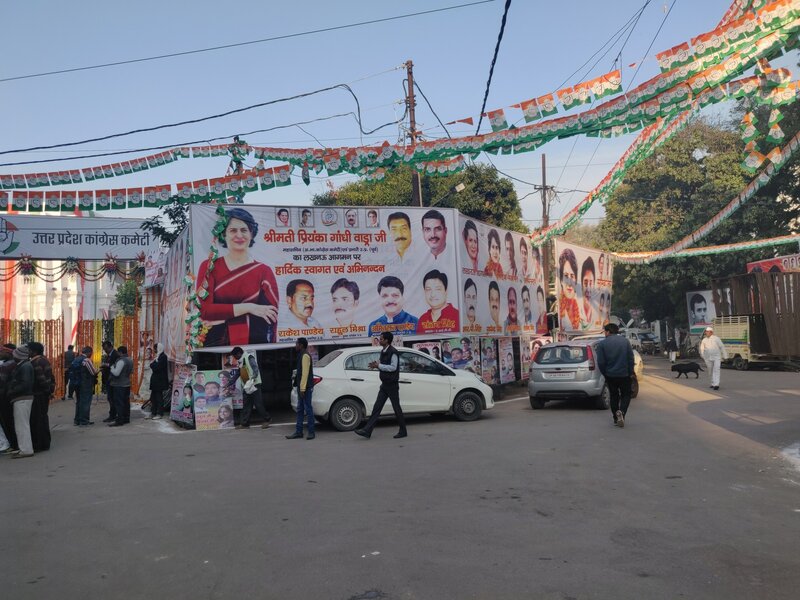 Party supporters were seen dancing, sloganeering and cheering ahead of Priyanka Gandhi Vadra's first visit to Lucknow after assuming office earlier this month. 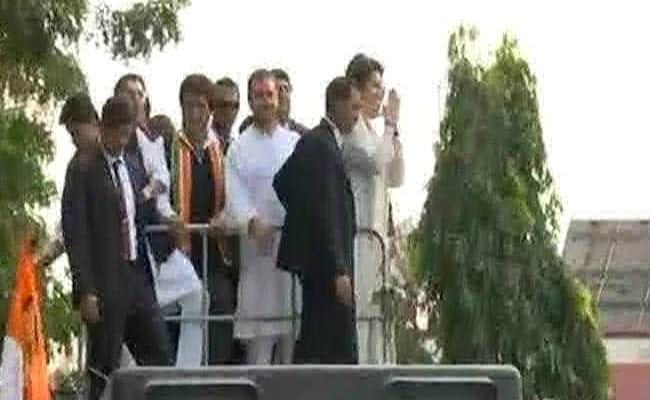 Despite Priyanka being accompanied by her brother and officials from the party, most of the slogans raised were in praise of Priyanka, with Rahul finding only a few mentions once in a while, according to news agency ANI. 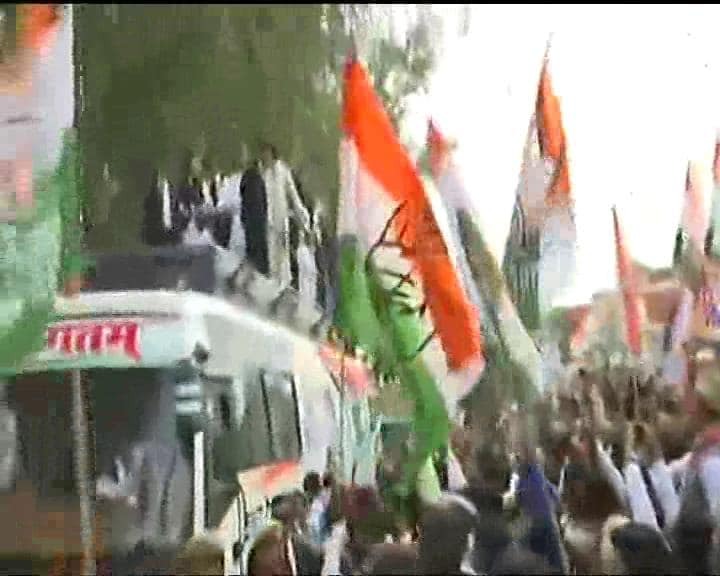 Soon after their arrival at Lucknow's Chaudhary Charan Singh International Airport, the senior leaders embarked on their road show atop a white bus, according to ANI. 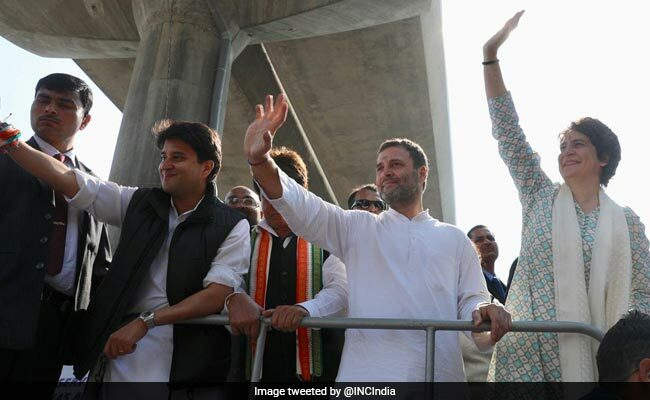 Jyotiraditya Scindia tweeted a photo of him with Rahul Gandhi and Priyanka Gandhi Vadra, with the lyrics of hit Hindi song, 'Aa Dekhein Zaraa'. 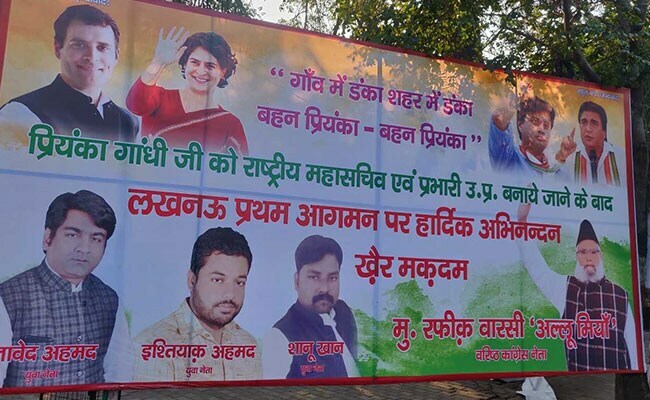 Priyanka Gandhi Vadra will launch her mission Uttar Pradesh today with a roadshow through the crowded streets of Lucknow, the entire route awash with posters of the new Congress general secretary and her brother Rahul Gandhi, the party president. 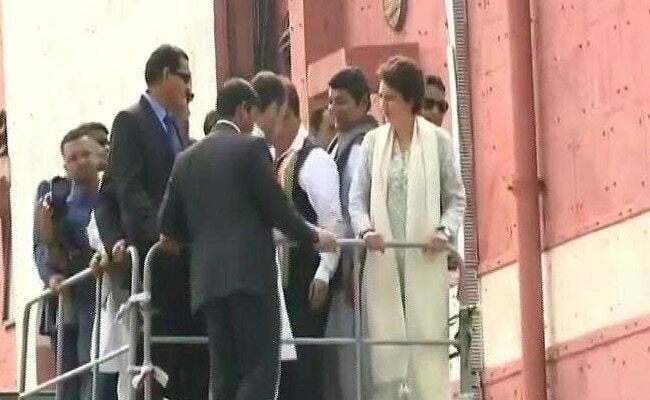 Priyanka Gandhi Vadra and Rahul Gandhi have reached Uttar Pradesh capital Lucknow to kick off the mega roadshow there. 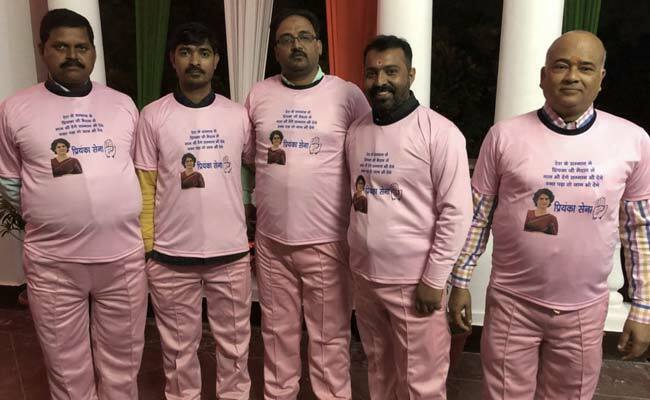 As Priyanka Gandhi Vadra begins her campaign today for the Congress in Uttar Pradesh ahead of the national election, a group of party workers are geared up to work as her "army", complete with a pink uniform that has her photo and a message. 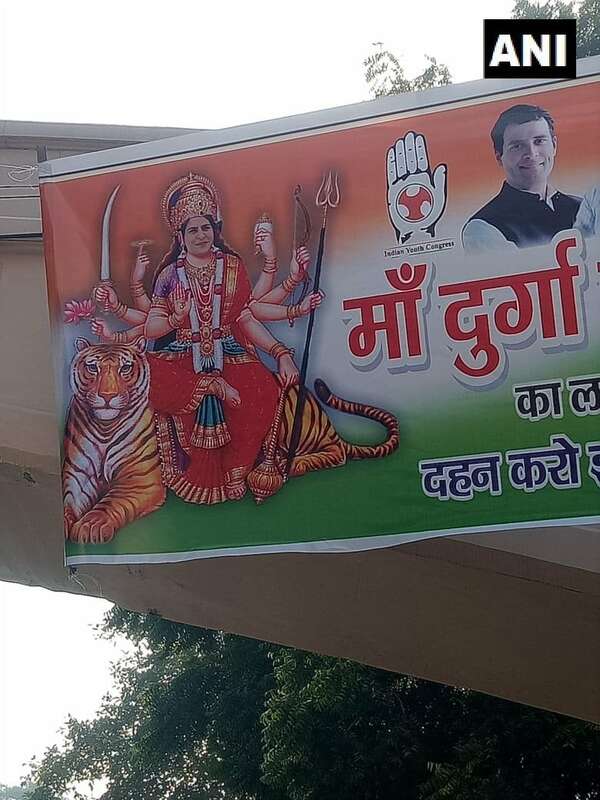 They call themselves the 'Priyanka Sena'. 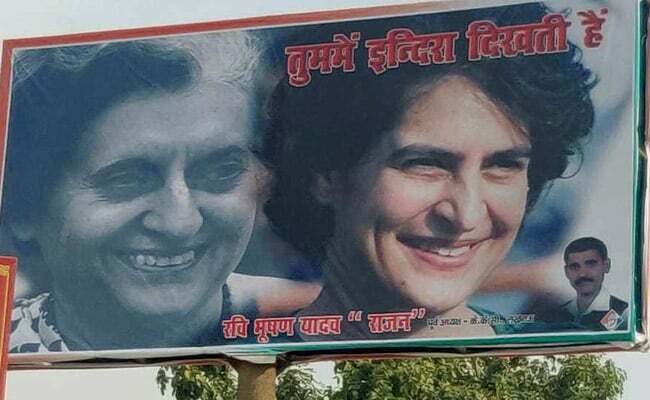 Uttar Pradesh minister SN Singh has said that the BJP sees the road show of Priyanka Gandhi Vadra as 'Chor machaye shor (thieves protest the loudest)'. 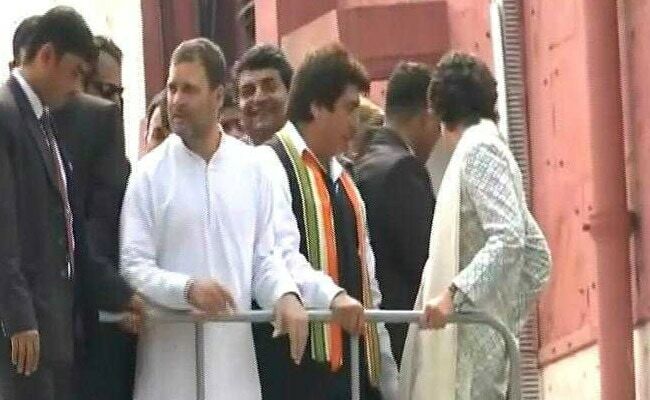 "Gandhi-Vadra family is out on bail. 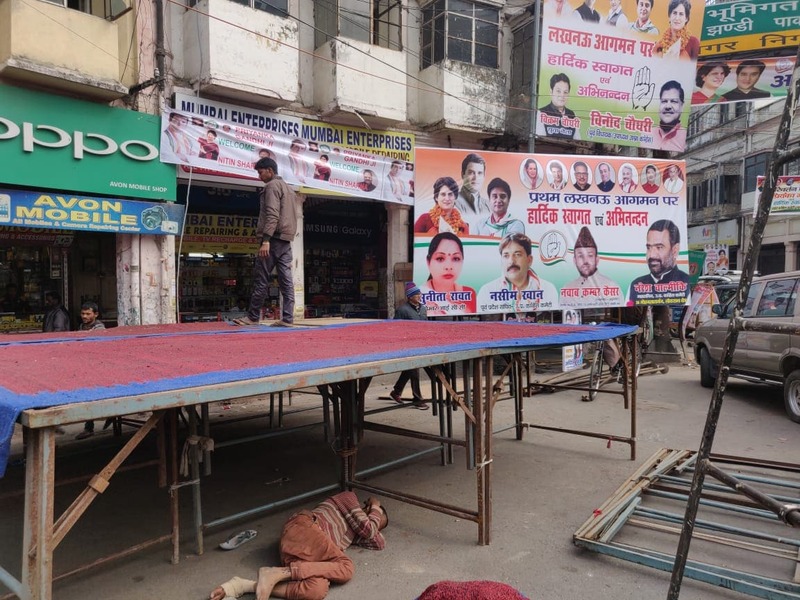 They can't hold a road show but a 'Chor show'. 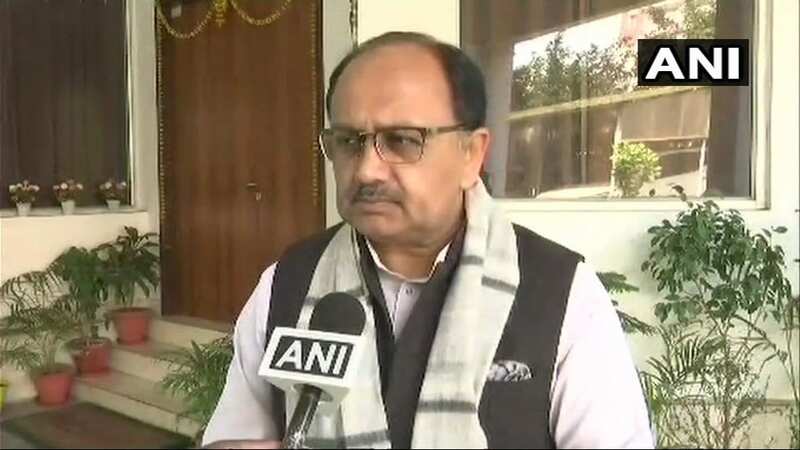 People of UP, especially Lucknow, will come to see corrupt faces of those who looted Rs 12 lakh crore," said SN Singh, quoted by news agency ANI. 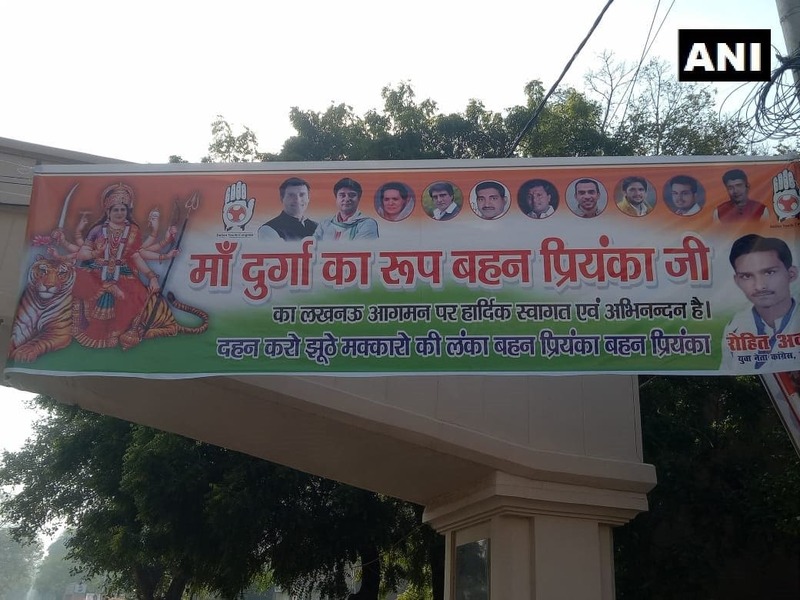 Banners have been put up in Lucknow ahead of Priyanka Gandhi Vadra's roadshow there, showing her as Goddess Durga, according to news agency ANI. 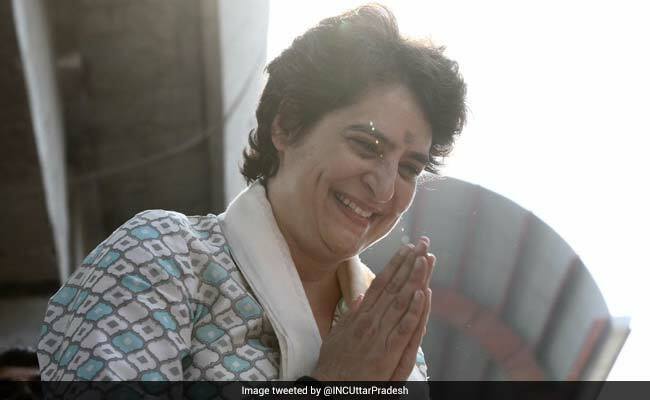 Rahul Gandhi has tweeted in Hindi, saying he will join his sister Priyanka Gandhi Vadra for her rally in Uttar Pradesh capital Lucknow. 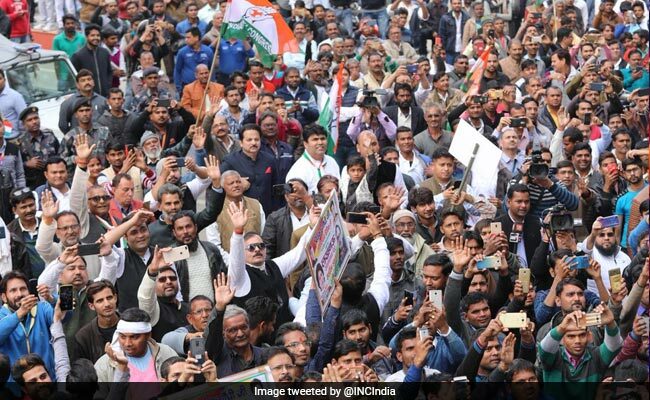 In the tweet, Rahul Gandhi said the planned Congress roadshow will be kicked off at around noon, starting from the Lucknow airport till the party headquarters. 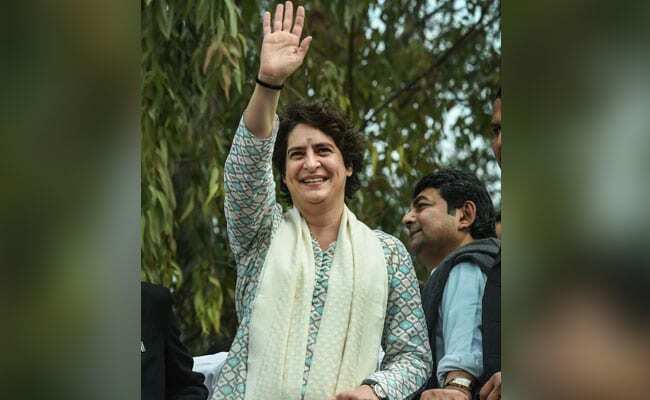 Priyanka Gandhi Vadra, who is being hailed by many as the Congress' big hope in the make-or- break state of Uttar Pradesh ahead of the Lok Sabha polls, will finally arrive in Lucknow this morning. 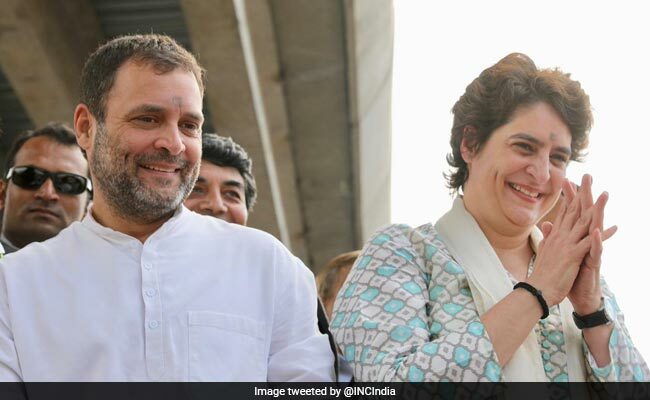 Rahul Gandhi, brother and Congress president, had announced her entry into politics as the party's general secretary in-charge of eastern Uttar Pradesh two weeks ago. 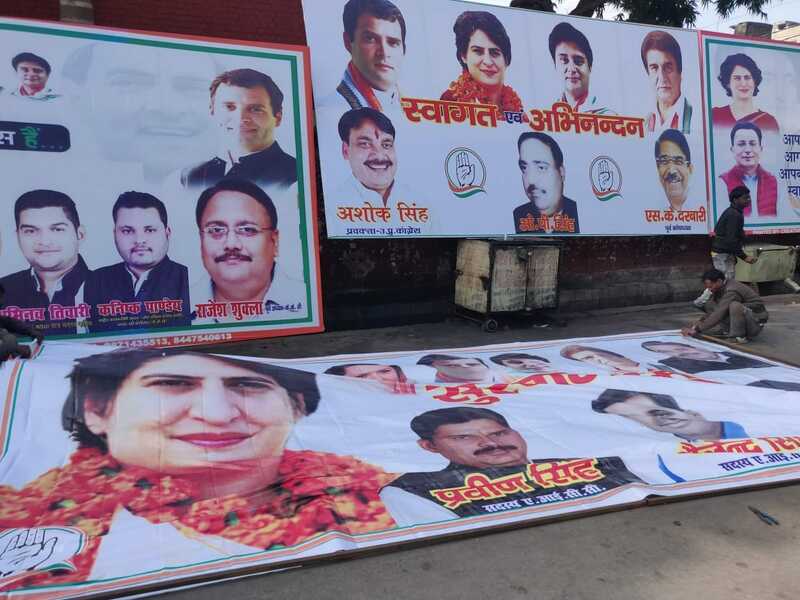 Huge banners have come up across Lucknow ahead of Priyanka Gandhi Vadra's rally with brother Rahul Gandhi and senior party leader Jyotiraditya Scindia. 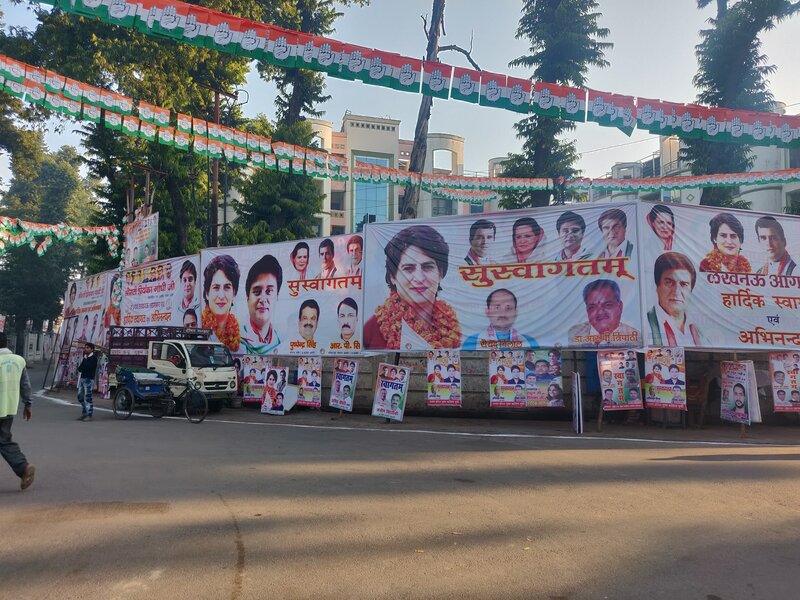 The banners and hoardings are a part of the media blitz to boost Congress campaigning in the state for the 2019 Lok Sabha elections.